Mail Box Lock services in Allentown, Easton, and Bethlehem for residents and business owners of the Lehigh Valley, PA. We provide 24/7 mailbox lockout service, as well as mailbox lock repair or replace service. Mailbox lock can be very tricky. This is because there are so many mailbox locks, and all of them look alike. Additionally, there are so many mailboxes and you need to fit the right lock to the right mailbox. You can have your mailbox standing at the front of your driveway. You can also have a mailbox station at the entrance of your development (roadside mailbox station). Either way and in many cases, when you have a mailbox station, the USPS is in charge to repair or replace your mailbox lock. USPS has their own technicians to repair mailbox locks. However, if your mailbox is at the front of your driveway, it is fully under your responsibility to repair the lock. 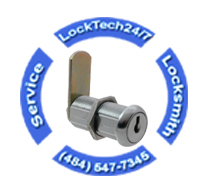 Those are few of the professional locksmith services we provide to mailbox locks. Mailbox lockout can be a very annoying situation. It’s been 3 days since you saw your mailbox key last time, but now, it is nowhere to be found. You search all over your house while trying to remember where you misplaced it. Is it fell out of your key ring, or you simply left it in the closet of the kitchen? Your mail is inside the mailbox, but you can’t open and get your important mail and bills. In a case you’re locked out of your mailbox, you shall not be worrying. We provide 24 hours emergency lockout services, hassle-free. Call us to unlock your mailbox at any time, so you will be able to get your mail and your bills, on time. To be honest, it is not easy to repair a mailbox lock. There are no many parts we can fit a mailbox lock and the tiny lock cylinder even makes it harder to use tools and to fix. Yet, we are successful to repair many mailbox locks. Repairing mailbox locks is one of our expertise and we are highly skilled and experienced locksmiths to take care of any mailbox lock issue. Whether you cannot lock or unlock your mailbox, or the key doesn’t sping your lock cylinder, we can help. And whether it is Salsbury Industries lock or Hudson lock, we can get you back on your day, in no time. When your mailbox lock is beyond the possibility of repair, we can easily replace your lock and provide you with 2 new keys to your mailbox. It doesn’t matter what type of mailbox lock you have. Additionally, it also no matter what brand name is your lock, we can replace them all. In some cases, we may need to order the exact lock to your mailbox. We have a wide inventory of mailbox locks, yet, once in a while, we arrive to replace a mailbox lock that we don’t have in stock. Remember, you need an exact replacement like the older lock. We can order any mailbox lock you may need. Please note that in a case we need to order a new lock to your mailbox, it can take up to 3-5 days. When you need mailbox lock services, you want to get over it quickly. You can call many locksmiths in the area just to find that they can’t solve your mailbox lock problem. Do not waste your time when you need mailbox lock services in Allentown, Bethlehem, or Easton, PA. With this in mind, you may know that we serve the entire Lehigh Valley, and beyond.